As a Foolish investor, you’re going to be invested no matter what. Bull, bear … it really doesn’t matter. The most important thing for you as an investor is to position your portfolio such that you won’t be led you down the path of a panic seller, because more often than not, such rash sell decisions are made at the worst possible moments. Fear and panic haven’t made anyone a dime, so instead, consider turning your TFSA into an unshakable bomb shelter that’ll allow you to keep your cool through the worst of times, and if it turns out the bull isn’t dead yet, you’ll still be able to profit. Consider BMO Low Volatility Canadian Equity ETF (TSX:ZLB), a must-own basket of low-beta securities that’s perfect for any TFSA portfolio that plans to survive the next bear market. 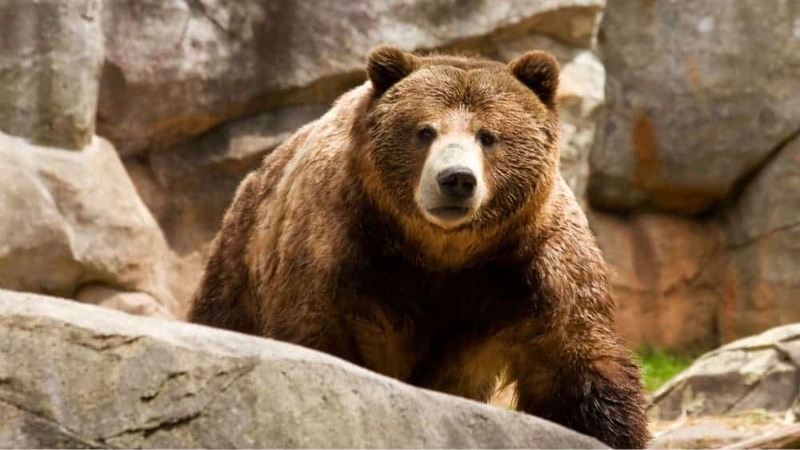 While it’s still uncertain as to whether or not we’re in a bear market, investors need to realize that they’re already in the woods, and they’re travelling deeper into them every day. With that in mind, wouldn’t you want to be prepared with some sort of bear repellent? It’d only be prudent, after all! If it turns out you don’t need the bear spray, then you’ll be down for the price of the spray, but not to have it when the bear has you in his sight would be deadly. And the same can be said if your portfolio is overweight in cyclical growth stocks, with no defensive positions whatsoever. The ZLB is a “one-stop-shop” investment that I’ve been pounding the table about all year. It’s a personal position in my portfolio, and I’ve continued to recommend it ad nauseam because it’s a simple, yet effective solution for many cyclically overexposed portfolios. Yes, ETFs are boring, but the ZLB is different. It’s one of BMO’s smart ETFs that have a portfolio manager behind the scenes, selecting the crème de la crème of low-beta securities on the TSX index. The ZLB’s strategy isn’t merely to screen out the lowest-beta TSX stocks. Rather, there are smart humans behind the scenes that are hand-picking the securities of businesses that have solid fundamentals. We’re talking about proven winners with robust cash flow streams, and plenty of growth left in the tank. That’s what “smart beta” is about, and that’s exactly what you’re getting with the ZLB, even though the 0.4% MER may be more indicative of a passively managed “simple screen” portfolio of the lowest-beta securities. While you could undoubtedly screen out your own collection of low-beta stocks, you’d probably run into several distressed companies because by low-beta stocks by nature are less correlated with the broader markets, and that can be good and bad depending on the types of securities that are already in your portfolio. Low beta means low correlation and a lower degree of volatility, but that doesn’t mean protection from downside or even a guarantee of dampened downside. Why? In an up market, lowly correlated securities could go down, causing an inverse correlation, driving the beta down to potentially negative levels. If the beta metric is all you’re looking at, you could find yourself selecting securities that move down, independent of the market moves, because there’s a real underlying problem with the business behind the low-beta stock. That’s stupid beta. It’s not what you want; you want smart beta that goes above and beyond just the beta, although the metric is the “main attraction” to the low-volatility investment strategy. Upon taking a look at all the holdings in the ZLB, I was sold. They were all high-quality companies that I would personally own for my portfolio and precisely the types of securities that you’d want to hold when the waters get rough.